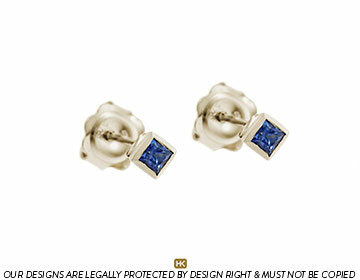 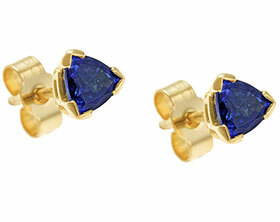 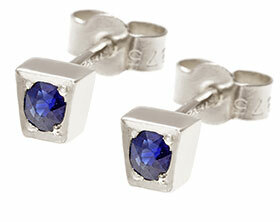 These single stone earrings hold a 2.5mm sapphire in each stud. 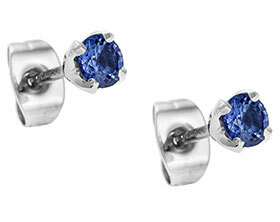 The striking blue stones are held in a rub over 9 carat white gold setting. 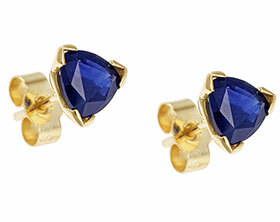 A polished finish completes these classic earrings which are secured with butterfly clasps.